In 1911, the San Joaquin River was a 10 mile journey from the city of Fresno. Today, the bluffs are topped by golf courses, outlet malls, and houses. Very large, expensive houses with fancy trimmings and yards full of every manicured ornamental plant you could think of. It’s always a little awkward walking through a fancy neighborhood in field clothes and toting binoculars. It’s even more awkward when one of the houses gets festooned in toilet paper and plastic forks the night before. And you’re clearly the first one awake to see it. And you have to stand for seven minutes at your survey point literally ten feet away. And goodness, that one woman who drove by gave me a nasty look. The transition between manicured and wild is impressively abrupt. The smooth lawn of the golf course I surveyed (the only one that would let me on the premises without a thorough background check) butted right against the shaggy willows of the native river. Coyotes prowled the edge at dawn, and we were told tales of mountain lions by a kindly pair of fishermen as they drifted down the river past one of our survey points. The medley of habitats makes for an impressive diversity of birds – herons and waterfowl along the river and ponds, orioles and other songbirds in the riparian treetops, killdeer and blackbirds making good use of the golf course lawn, and the usual menagerie of doves and House Sparrows in the polished residential streets. 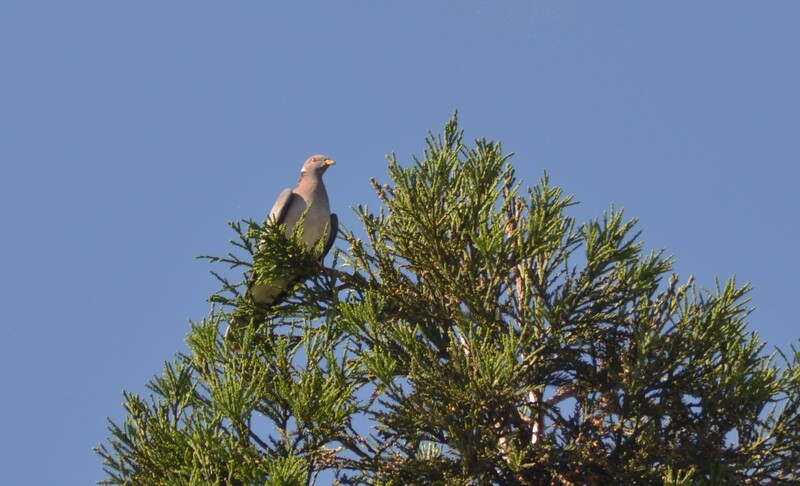 Though, the Band-tailed Pigeon was a nice surprise in the latter venue. But despite the diversity, the bird community is remarkably different from what Grinnell reported in 1911. He saw no herons, egrets, ibis, grebes, or waterfowl, birds that are now present in force. Perhaps Grinnell just didn’t see them, or perhaps their numbers were fewer when the river was just a river, and not damned and diverted to create the large ponds that are present today. 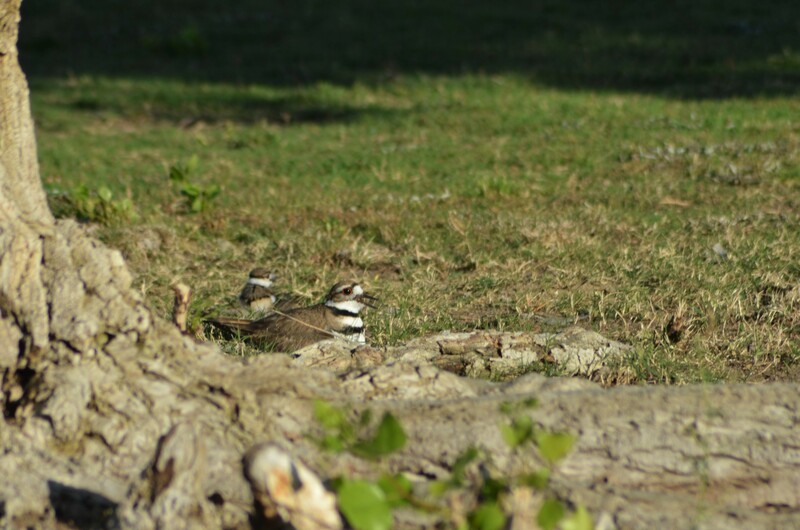 Meadow species (meadowlark, lark sparrow) have vanished along with their preferred grasses and open spaces, and most of the sparrow diversity was lost. But in its place came many more species of hawks, hummingbirds, swallows, and flycatchers. 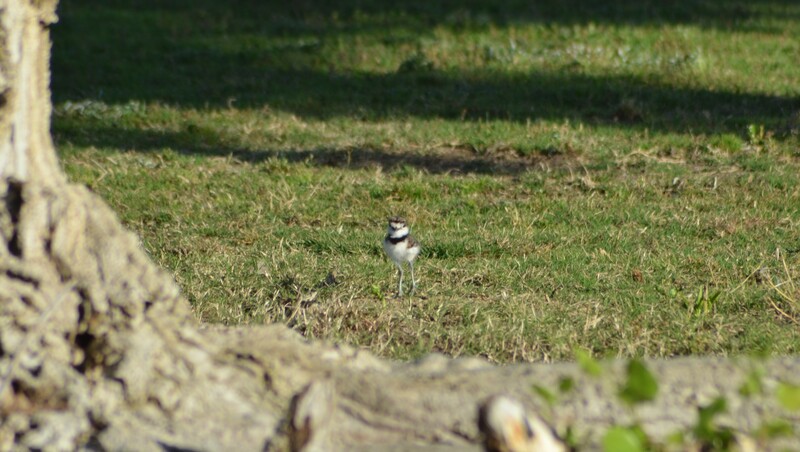 The highlight of the survey, however, was the Killdeer. A common bird of the summer so far. But here, we happened upon a nest just in time. 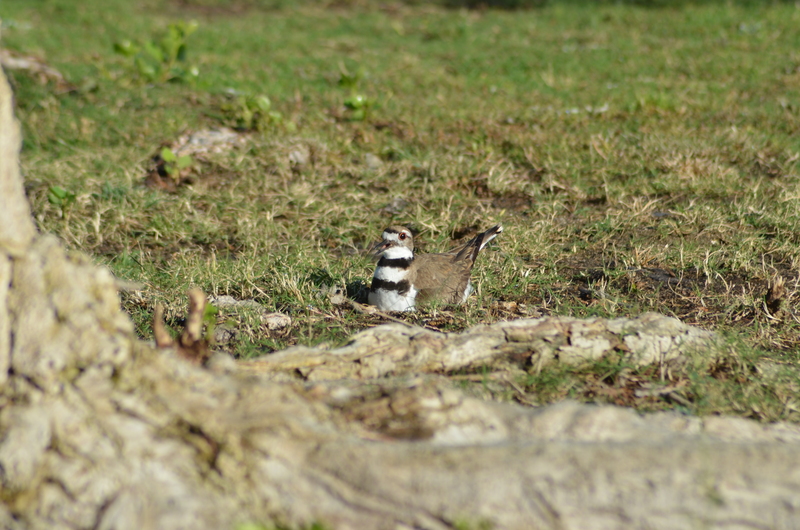 Killdeer on nest, first day of surveys. 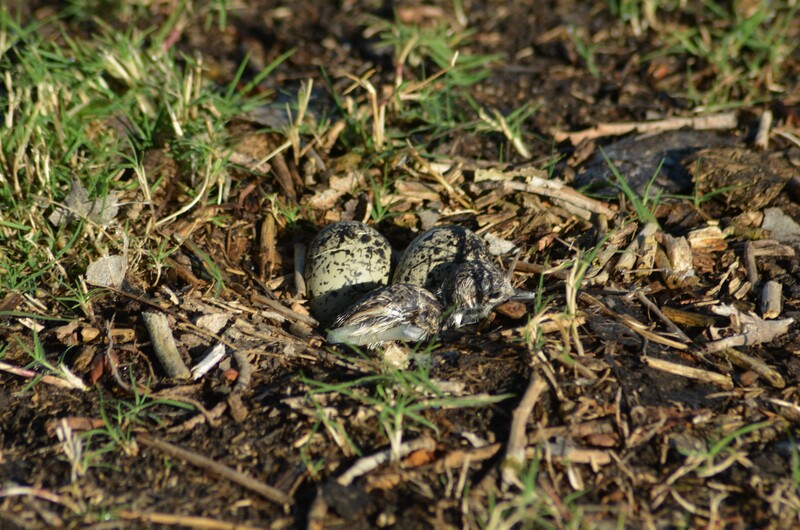 Chick hatching on the second day of surveys. Third day of surveys, chick is up and about.